There is a parking lot behind the school and also street parking. There are a few parking spots reserved at the Weehawken Library. TICKETS: In keeping with Hudson Theatre Works commitment to low ticket prices, all tickets are $20 and can be purchased thru Brown Paper Tickets at www.brownpapertickets.com or 1-800-836-3008. There are discount tickets of $15 for Seniors, Veterans, Weehawken residents (with id), and groups of 10 or more. Hudson Theatre Works, is interested in theatre that is edgy, actor driven and intimate. It produces plays that mirror this aesthetic. This includes its PlayWorks series of new play readings and its company workshop The Forge. Its production of A Steady Rain was named one of the top 10 shows in New Jersey in 2016. Macbeth is Shakespeare's only thriller. It is a psychologically complex drama of power, love, ambition and loss. When three mysterious figures prophesy that Macbeth will be crowned king of Scotland, the noble warrior and his wife quickly begin a bloody rise to power. 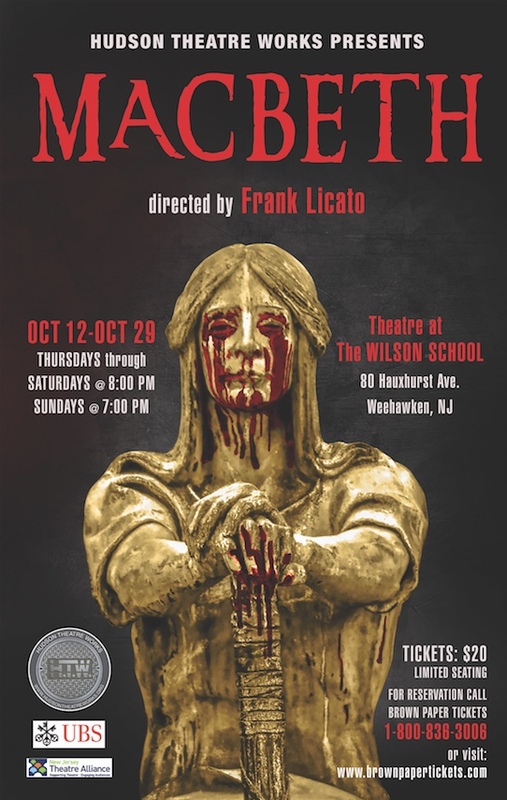 Part cautionary tale, part magical horror story, Macbeth remains one of Shakespeare's most compelling plays. Macbeth features Kevin Cristaldi (left) as Macbeth and Daniela Mastropietro aa Lady Macbeth. The cast also includes: Brendan Walsh (MacduffCaptain/Messenger/ Servant), Peter Collier (Malcom), Tom Jeszeck (Duncan/Doctor/Old Man), Heinley Gaspard (Banquo), Debbie Bernstein (Fleance/Mentieth/Lord), BK Dawson (Donalbain/Caithness/First Murderer), Ana Roman (Lady Macduff), Sue-Ellen Mandell (Second Witch/Lady MacBeth's servant/Second Murderer), Gloria Lamoureux (First Witch//Siward), Frank Blaeuer (Third Witch/Seyton/Third Murderer), Bess Miller (Lenox), Natalie Masyak and Todd Hilsee (Ross). 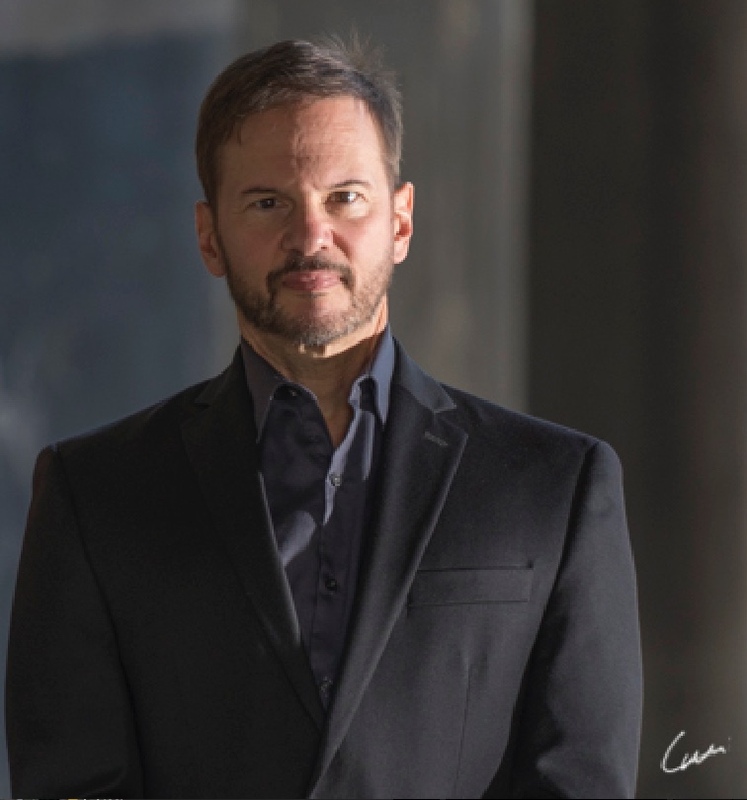 The creative team includes: John Shimrock (Light/Set), Donald Stark (Sound/Music), Ann Lowe (Costumes), Gregory Erbach (Producing Director), Dawn D'Arrigo (Stage Manager), Tara Cioletti (Assistant Director) and Joanne Hoersch (Resident Playwright and Script Consultant).